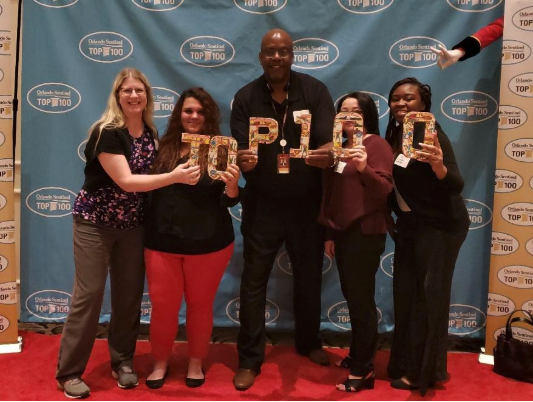 BioSolutia Selected as one of the 2018 Orlando Sentinel Top 100 Companies For the FOURTH Consecutive Year! We’re excited to let all of our clients and friends know that for the fourth year in a row, BioSolutia was selected as one of the 2018 Orlando Sentinel Top 100 Companies. We’re very proud of this accomplishment. Organizations from across Central Florida entered the two-part survey process to determine the Orlando Sentinel Top 100 Companies. The first part (comprised of 25% of the total score) consisted of evaluating each nominated company’s workplace policies, practices, philosophy, systems and demographics. The second part (comprised of 75% of the total score) consisted of an employee survey to measure the employee experience. The combined scores determined the top 100 organizations.